On the keto diet and craving a chocolatey treat? 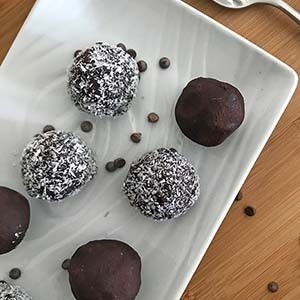 Look no further than these Chocolate Keto Fat Bombs! They’re packed with five sources of healthy fat and contain only 4 grams of net carbs per serving.